As an at-risk youth growing up in inner-city Winnipeg, Ceniza was placed in the performing arts program by a counsellor to prevent her from dropping out of high school. Ceniza has trained in Hip Hop (Popping, Locking, Breaking, Wacking, and Funk), west-coast style choreography, contemporary, and Krump. 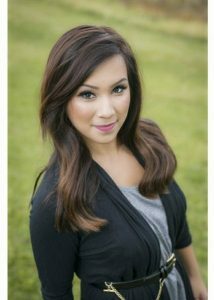 Outside of dance, Ceniza has a Bachelor’s Degree in Marketing from the University of Lethbridge, allowing her to utilize her education to collaborate with artists on various business and artistic projects. She is the Marketing Director of Movement With A Message and the founder of W.O.K.E (Women of Krump Empowerment) Ceniza uses dance as a tool to empower young women and believes that a good work ethic and a positive attitude overrides skill and talent. She also believes that leading by example is the most effective way to teach. Her Krump family, Empirical Freedom, holds classes at Decidedly Jazz Danceworks (111 12 Ave SE) every Thursday night from 8:00-9:00 PM.